Having recently reviewed the Verve Sleeve with Clip for iPod touch, the Grip Edge for iPod Touch is more my style and is not only made for protection but also fashion and comfort. With its smooth design (quite shiny), the Grip Edge is a very interesting design that also boasts a padded leather back for additional protection. 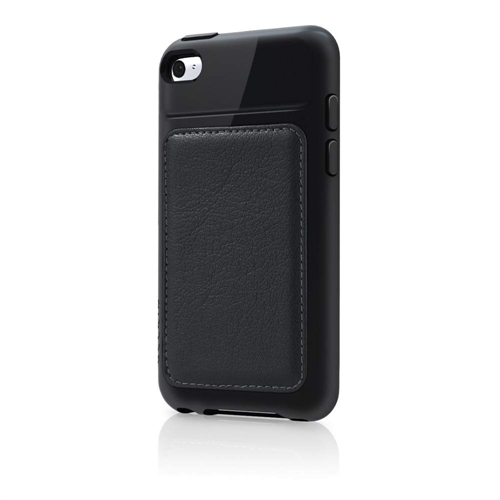 If the unthinkable happens and you drop your Grip Edge, this case has additional shock absorption properties. But what's the catch? There is none actually because all the buttons can still be used on your iPod Touch, including charging and of course a small cut-out hole for your camera. The only issue with the cut-out holes for the camera is that this is where the dirt gets into your iPod case and unfortunately there is no solution but just be warned. The case also feels good in your hands and although the padded leather back does feel a little "bumpy", it's actually feels quite comfortable while you are using your iPod Touch. Another great case from Belkin!